But what can I say? The past one year has seen the dreams in my heart for my NYSC year come true. I remember being so mad when people used to say that “NYSC is a waste of time”. Something in me simply refused to believe those lies and the truth I held on to saw me scaling through the year touching lives and hitting goals. And as I did all that in six secondary schools this year, I saw myself in the young kids. I saw the young girl I was 12 years ago. Why didn’t anybody take it upon themselves to let me know that I am beautiful? Worthy of a purpose? And good enough to do anything I set my heart to achieve? Why did the corpers they posted to my secondary school do nothing of this sort in my school? My heart ached for the past I missed and rejoiced for the opportunity to pour into the lives of others. I thanked God for the opportunity to indeed serve during this one year; to indeed lift my nation and my community high and steer young girls in the right direction. I stepped into NYSC year with an aim to pour out positively into lives and that aim was achieved. Wherever I go, whatever I do, nothing would ever satisfy me like walking in God’s purpose for my life will. And if that purpose entails teaching and guiding young ones into the right path… If that purpose entails trekking for long distances just to make plans for what I need to do… If that purpose entails me receiving no monetary compensation whatsoever… I will still do it. Because my one year in NYSC has taught me that we weren’t created to get all we can… we were created to give out of ourselves, of our talents, of our resources… we were created to pour out and finally die empty. And in pouring out, we find ourselves being refilled. 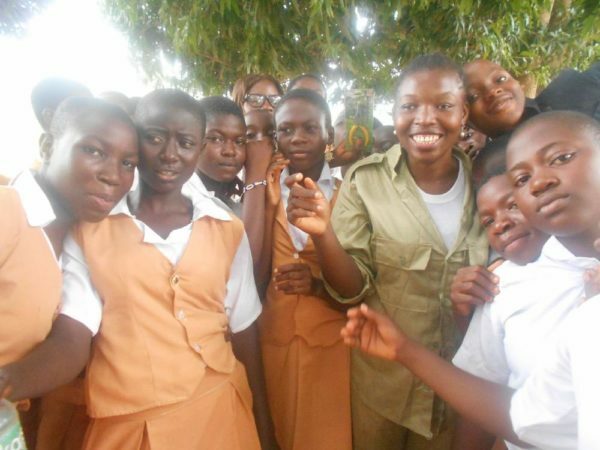 It’s been an awesome year in Ekiti State as a youth corper. I have been bombarded with favour from left, right and centre. And then there is the quest I went on to sight see and have adventures in this State. I had awesome moments climbing hills, scaling mountains, singing in Fajuyi park while riding the kiddies swing, planning trips to waterfalls and greeting “era ma”. But more than ever before, I know that what I wrote one year ago is still true today. The only way one can leave NYSC with a full heart and a fulfilled year is to pour out into the lives God has placed on their paths. Don’t think about the State/Federal Government awards… just pour out into lives. And when it’s time to go, you’d look back down the journey and be certain that the seeds you sowed in hearts will grow to become tall trees in the years to come. Sow a great seed in the lives you come across. It’s better than moping around, whiling away time while waiting for the year to come to an end. If you would indeed make your NYSC year a year of purpose and service like I did, then I have no doubt that your heart will be full like mine when you leave. My message as I step out of NYSC is the same as it was a year ago… the only difference is that I have lived out my belief and found it to be all the more true. Sow the seeds. Make the mark in lives. Go out, sight see, travel around the state you’ve been posted to and find the beauty buried in it. 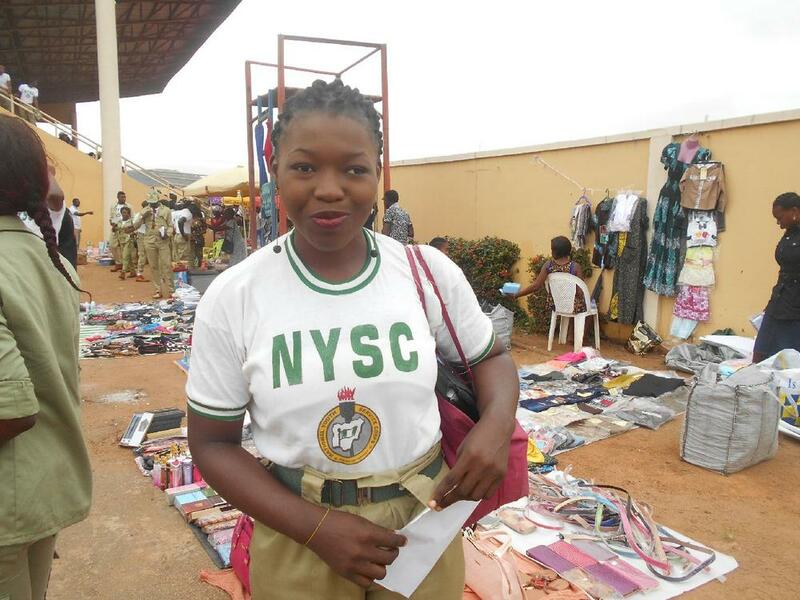 Live a life of purpose… and yes, you can do this even during your NYSC service year. Wow! ! !such am interesting piece. Thank you Frances for sharing. You have given me a sort of encouragement even as I step into my NYSC year pretty soon. I hope I am able to impact positive values in the lives of those I meet during my service year. Hey Delali… have an awesome service year! Hope and follow through on your hopes..it gets challenging but it’s doable… you’ll look back and smile at the year gone by if you stick with it all. Congratulations on passing out Frances, and not allowing negative comments influence or overshadow your hopes and dreams. You’re such an inspiration and I know those students were lucky to have you in their lives. God bless and keep it waaaaay up! OmGee, Berry Dakara *dancing Kara Kara sister tombo! * I’m so happy you Frances, well-done. All the best in your future endeavors. Bravo Frances. I was just thinking about NYSC yesterday and wishing I could turn back the hands of time. I wouldn’t have served in Lagos. I would have loved to serve in a rural area and make a difference in some young lives. You have now still… go ahead and make a difference. Aww frances,this is sooo swwet of u! Ha, NYSC uniform don upgrade o. The one they gave me almost marred my service year. The white vest looked like what an Obioma was hurriedly commissioned to sew. The white material was almost identical to what Iya Ronke, our hardworking neigbour uses to sieve the Ogi she sells. The printing left much to be desired as the NYSC logo looked as if it grew legs and strolled a few inches from the center of the shirt. After one wash, it bore witness to what KLIN detergent did to it. It shrunk in such a way that the back side became lengthier than the front taking a funny shape that we had to call it our own TM Lewin shirt. The trouser, that one na another day story. The sewer of that trouser should be summoned by the senate to explain how manage? The boot and face cap reduces confidence rather than add to it. Loooooll. My dear this their uniform na one of the highest “designer order”. I refused to slim fit mine in camp and the thing eh, na waya. Even that pishre sef, na belt hold the waist.. The vest one has to be careful with it and use sense was am. Oh..it’s Frances. Wonderful lady! I remember you speaking to us @NIFES sister’s conference. I remember your story & how you inspired us with your words. I’m so watching out for you, God continue to work in & through you. Wonderful! you were at PTI too? Thank you so much..simply glad for the opportunity to pour into lives. 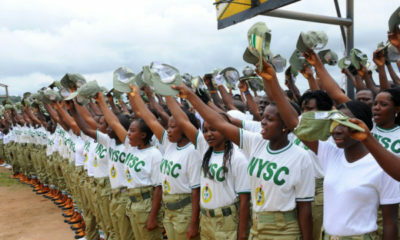 Corper shun! Reminds me of my days in an ogoni village. They still call though it’s been over 7 years. Good one! I imagine it makes your heart sing when you get the calls…that’s my aim too. it’s just..a joy..
You can only become great when you hear the cry of those in need. God bless you so much for giving during your service year, while others may have been complaining. Big ups to you, and congratulations on the completion of your service year. One major takeaway from your experience – that I hope those embarking on the NYSC will take into consideration – is that it’s helpful to have an agenda/goal of what impact you wish to make in the community you spend the next one year of your life in. For you it was mentoring youths, some other worthy causes are health literacy, maternal and child health, environmental awareness, entrepreneurship or skills development, nutrition, hygiene… the list is actually endless. The CDS arm of the NYSC scheme is a great opportunity to put these goals into action and meaningfully impact lives. I know so because I was able to conduct a beneficial project during my service year in Oyo state for 10 public secondary schools. And by the way, the greeting is ‘e ro ra, ma’, not ‘era ma’ (lol). Great job! Hehe Molarah, I never could do their greeting/language well oh. It did/does sound like “era ma” in my ears.lol. And yes, the list is endless on what to do to impact lives during nysc. Setting the goals and achieving them is very necessary. If one goes in with a “whatever approach”, you get whatever” at the end of it all. Go purposefully with set goals and pursue them. That’s the aim. And more grease to your elbow. Hope your work at schools didn’t stop at nysc? It improved and became more/you still do it? Wow France’s. This is amazing, your u have a wonderful heart, I can feel the joy emanating from you through my device?. I’ve gotta say well done for going out there and making a difference in young girls lives. I pray everything you have done changes their lives in a very positive way. You are a true feminist . I like purpose filled lives. Welldone! This is great! NYSC wasnt a wasted year for me either. Thumbs up girl. you’re gonna go places. keep touching lives! When i tell people to go to rural areas they snob at me. My NYSC motto was: “go to the small pond and be a big fish, take the confidence to the big pond and compete fiercely.” I was recognized as a hardworking corp member, it kind of gave me an upper hand to land my first job. Not everything “big big place”. Thank you very much! !!!!!! I look forward to giving you an awesome feedback . NYSC IS RUBBISH.. EVERYONNE GO AND SLEEP. THIS CHILDREN AS U ARE TALKING TO THE LEFT EAR IT IS COMING OUT FROM THE RIGHT EAR…. 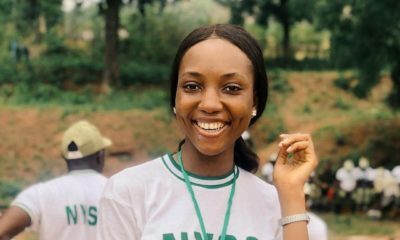 I am so glad to read this positive report about the NYSC. I always say a bit of every successful program is hype- we need to talk more about the good parts of NYSC, so more people have, or plan, something to look forward to. My NYSC was a giant blessing. So glad. Are you from Ekiti or served there? 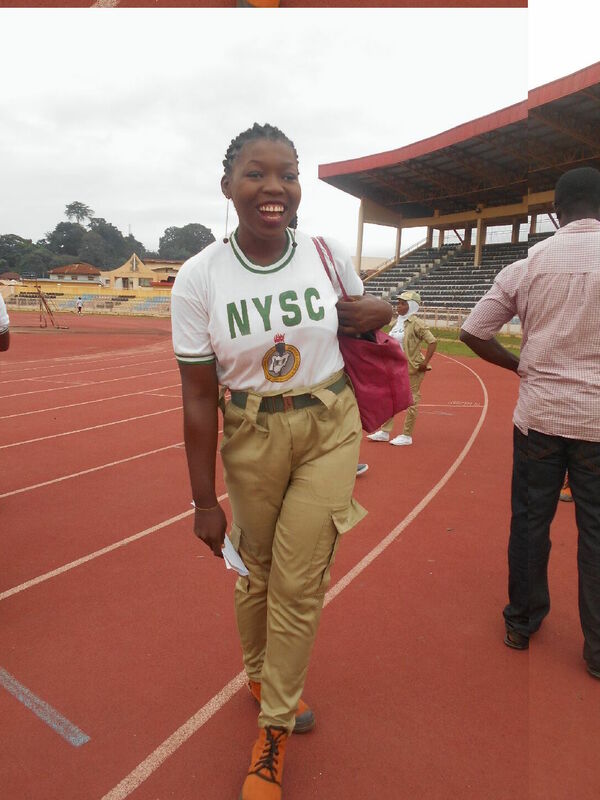 Congrats on your NYSC completion, Frances! Glad you used the time productively! The whole structure of the programme can be way better, buh instead of whining abt it, only if many wld spend it adding value to the communities they find themselves. After the programme, it cld b very difficult to find such time in d real world! Congratulations on your passing out, i loved your article, touching many lives positively, in anyway possible, is always a beautiful thing.. I remember one corps member that organised a business enterprise seminar during my time. We were put in groups and had the choice of learning photography, bead making, video production or soap making. Ah, my life was never the same after that. it was the skill I chose that came in handy during my own university years and it did help to defray the cost of school. I made some cool cash mehn! God bless that NYSC girl and her friends even though I can’t even recollect her name now lol. You will Amina..your heart yearns to do so already, that’s the first, now follow through when you get there. All nice..what an inspiring young woman you are Frances. Keep the light burning diligently and sure you won’t stand before mean men. Loves to you dear. 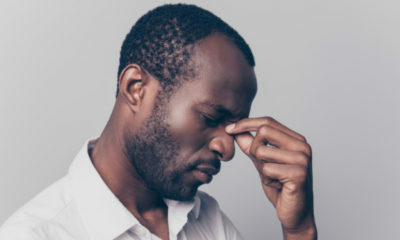 You just reminded me of my NYSC dayz, 6 years ago. I served in Adamawa state where i inspired some Primary school pupils to greatness. I’m glad my name was written in GOLD in the heart of the children. The ones i still keep in touch with are doing very well academically. It gives me joy to have been able to groom someone that won Cowbel Maths competition, and ended up representing Adamawa State in Abuja. I was elated when my student called me to break the news that he’ll be going to Russia on Scholarship to study Chemical Engineering. I felt a surge of excitement when my student text me his WAEC result, and he happened to get 7 A’s. Nothing gives greater joy than impacting positively into a life. If all youth can think like Frances, Nigeria will sure be better in the future. My service yr was also impactful as I still receive calls from my place of primary assignment since 2010. The orientation of the Nig youths needs to change. Think productively and learn to see opportunities in every adversity.